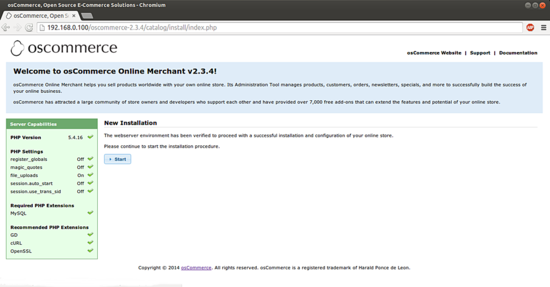 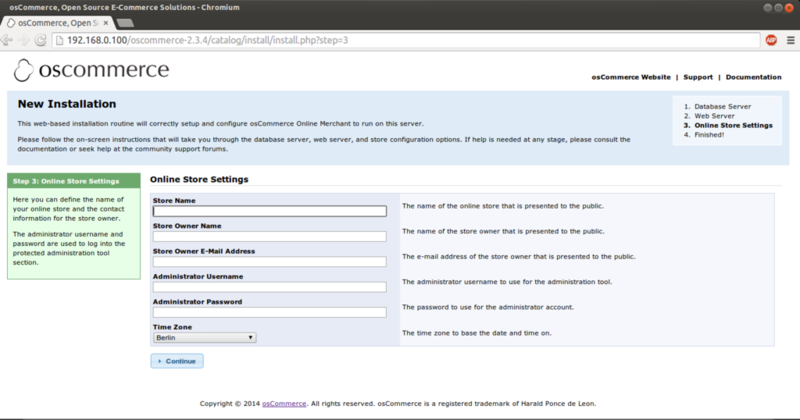 This document describes how to install osCommerce in CentOS 7. Open Source Commerce (osCommerce) is a popular e-Commerce and online store-management software program that may be easily used on any web server with PHP and MySQL installed. 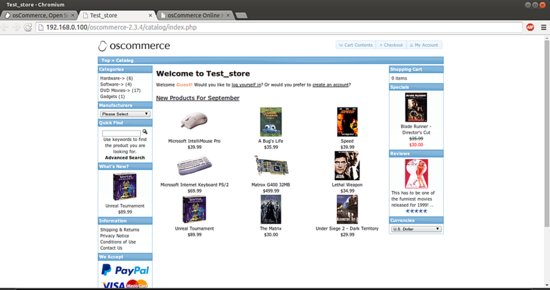 osCommerce is available to users as a free software under the General Public License (GNU) The versatile and fuss-free software enables easy setting up and maintenance of e-stores using minimal effort. 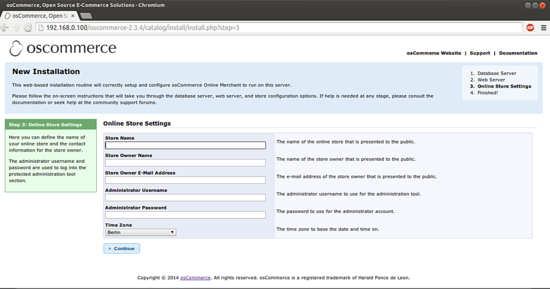 This tutorial describes the process of installing osCommerce on CentOS 7. 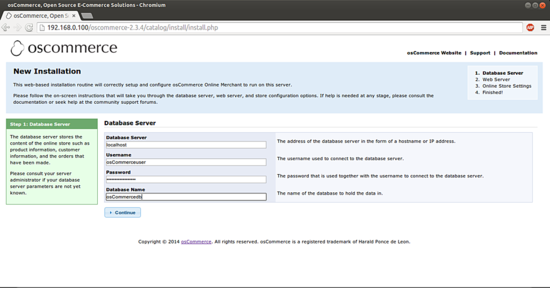 This tutorial is based on CentOS 7.0 server, so you should set up a basic CentOS 7 server installation before you continue with this tutorial. The system should have a static IP address. 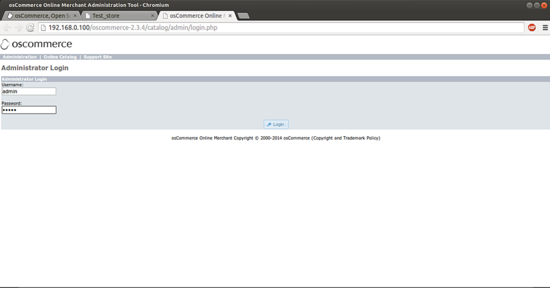 I use 192.168.0.100 as my IP address in this tutorial and server1.example.com as the hostname. 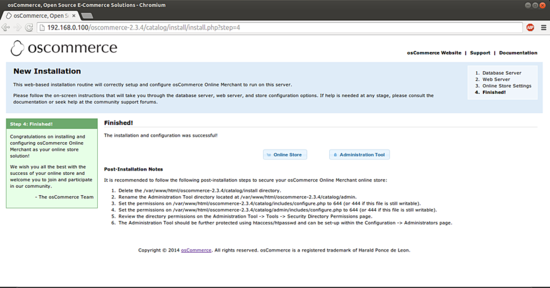 We also require a working LAMP server before moving ahead. 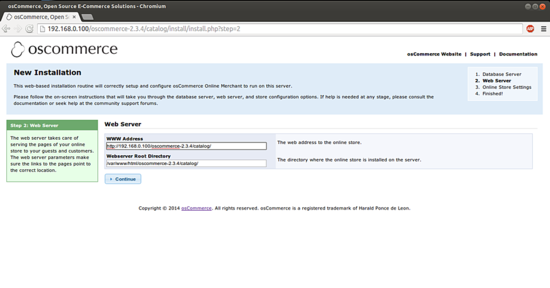 LAMP in CentOS 7 can be created from tutorial. 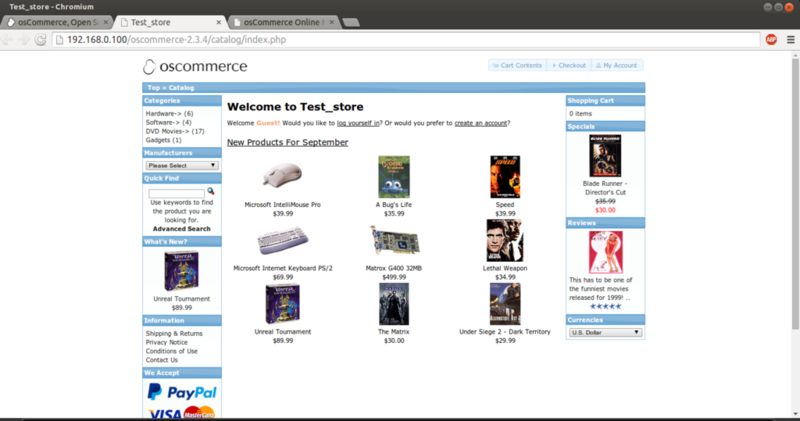 osCommerce is an open source solution for creating your own online store. 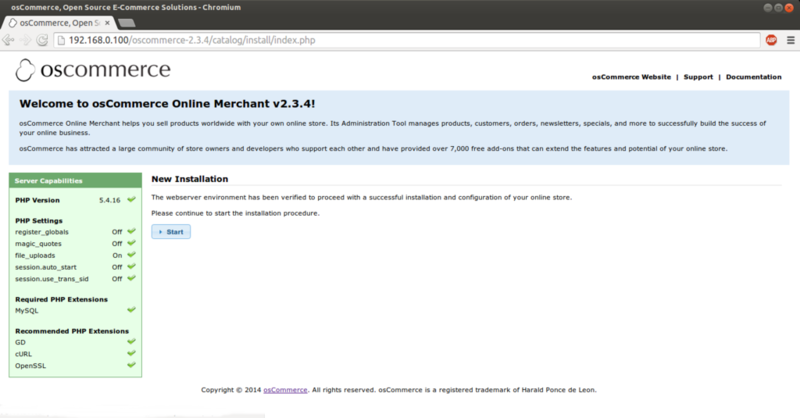 It runs on a LAMP stack and is a strong alternative to Magento. 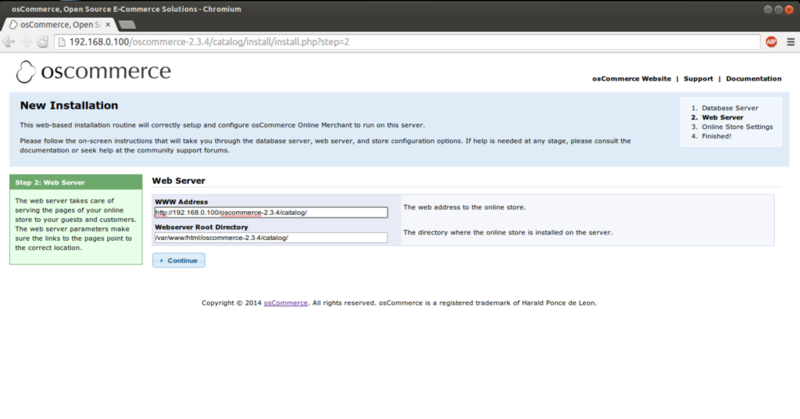 We need a database for osCommerce. We need to give appropriate permissions for allowing web-installations. 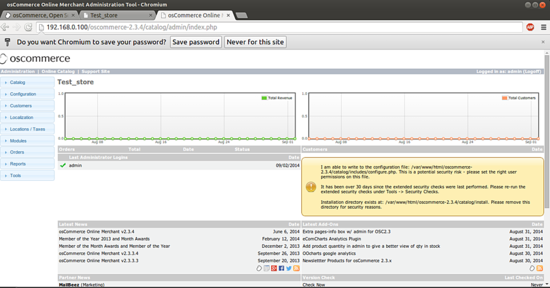 Now we will proceed for web-installation. 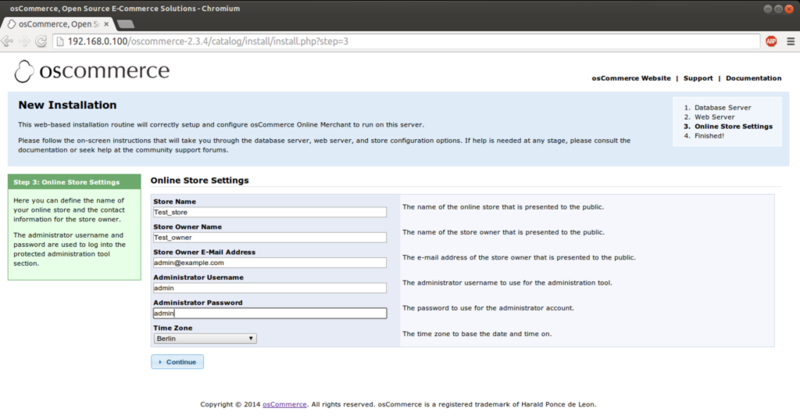 We can login here with Username=admin and Password=admin, just created at the time of installation. 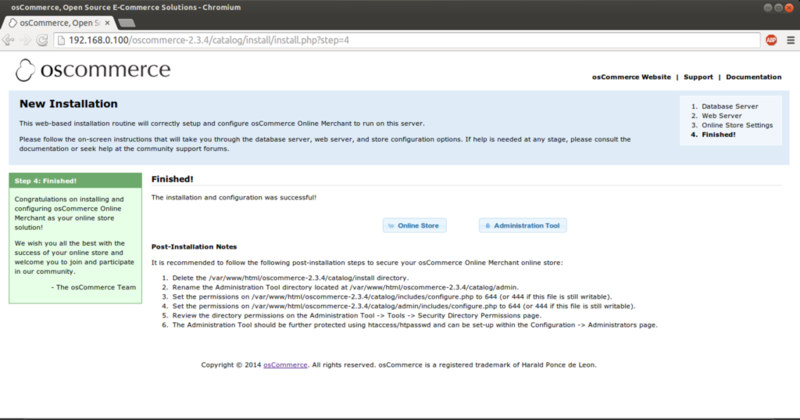 How to install osCommerce on CentOS 7 as virtual machine image in ova format, compatible with vmware and virtualbox.